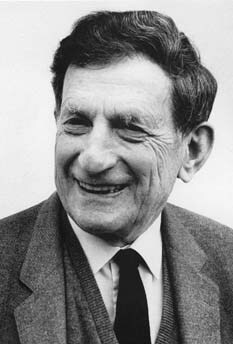 Today is the birthday (1917) of David Joseph Bohm FRS, U.S. born theoretical physicist who contributed innovative and unorthodox ideas to quantum theory, philosophy of mind, and neuropsychology. He is not one of the popular geniuses, such as Einstein, whose names are household words, but he stands shoulder to shoulder with the best of them. I stand in awe of his genius (and let me add that I rarely use the word “awe” about anyone or anything). Unfortunately, his ideas are difficult to comprehend, but I will do my best to break down some of his key ideas in a few words. Bohm was born in Wilkes-Barre, Pennsylvania, United States, to a Hungarian Jewish immigrant father and a Lithuanian Jewish mother. He was raised mainly by his father, a furniture store owner and assistant of the local rabbi. Despite being raised in a Jewish family, he became an agnostic in his teenage years. Bohm attended Pennsylvania State College (now Pennsylvania State University), graduating in 1939, then attended the California Institute of Technology for a year, before transferring to the theoretical physics group directed by Robert Oppenheimer at the University of California, Berkeley, where he eventually obtained his doctorate degree. Bohm lived in the same neighborhood as some of Oppenheimer’s other graduate students (Giovanni Rossi Lomanitz, Joseph Weinberg, and Max Friedman) and with them became increasingly involved not only with physics, but with radical politics. Bohm became active in Communist and Communist-backed organizations including the Young Communist League, the Campus Committee to Fight Conscription, and the Committee for Peace Mobilization. During World War II, the Manhattan Project mobilized much of Berkeley’s physics research in the effort to produce the first atomic bomb. Though Oppenheimer had asked Bohm to work with him at Los Alamos (the top-secret laboratory established in 1942 to design the atom bomb), the director of the Manhattan Project, General Leslie Groves, would not approve Bohm’s security clearance, after evidence about his politics. Bohm remained in Berkeley, teaching physics, until he completed his Ph.D. in 1943, by an unusual circumstance. The thesis work he had completed proved useful to the Manhattan Project and was immediately classified. 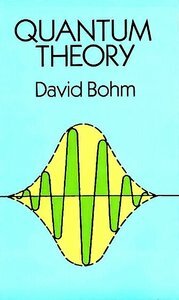 Without security clearance, Bohm was denied access to his own work; not only was he barred from defending his thesis, he was not even allowed to write his own thesis in the first place. To satisfy the university, Oppenheimer certified that Bohm had successfully completed the research. Lucky devil – he got a Ph.D. without having to write anything nor defend anything. After the war, Bohm became an assistant professor at Princeton University, where he worked closely with Albert Einstein. In May, 1949, the House Un-American Activities Committee called upon Bohm to testify before it— because of his previous ties to suspected Communists. Bohm, however, pleaded his Fifth amendment right to refuse to testify, and refused to give evidence against his colleagues. 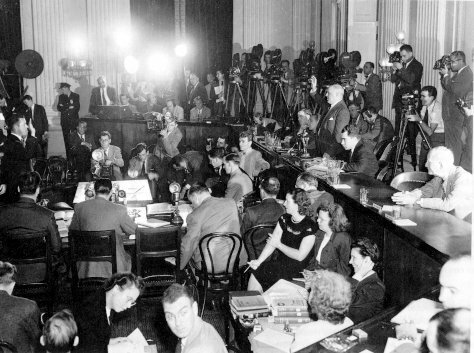 In 1950, Bohm was charged for refusing to answer the questions of the Committee and was arrested. He was acquitted in May, 1951, but Princeton University had already suspended him. After the acquittal, Bohm’s colleagues sought to have him re-instated to Princeton, and Einstein reportedly wanted Bohm to serve as his assistant. The university, however, did not renew his contract. His request to go to Manchester found support with Einstein, yet was unsuccessful. He then left for Brazil to assume a professorship of Physics at the University of São Paulo at the invitation of Jayme Tiomno and through the recommendations of Einstein and Oppenheimer. I can’t really say too much about Bohm’s contributions to quantum theory in a paragraph, but I can start by saying that his unorthodox approach to the field ultimately spilled over into all of his other work. Quantum theory deals with the behavior of sub-atomic particles, the trick being that they behave in ways that challenge age-old notions of the fundamentals of how things work, hence of reality itself. Although physicists use mathematical systems that are way beyond the reach of most people – I certainly make no pretense to understand them – they are still ultimately asking questions that most of us can grasp. For example, in the physical world if you always perform the same actions in the same way will you always get the same outcome? Most people would say yes. But actions in the quantum mechanical world seem to muddy the waters because sub-atomic particles act in “weird” ways, and if you ask the same question there you are left with some physicists saying yes, some saying no, and an awful lot saying maybe. Being overly simplistic, Bohm’s response to many such questions was that we need to rethink our whole grasp on reality. Bohm’s concept of “wholeness” lies at the heart of all his thinking. His deep insight was to abandon ways of thinking that assume that the world is made up of individual things that interact with one another, and instead to conceive of the world as a vast whole, each part of which contains all the other parts. I know, heavy stuff. But there is a model that helps explain his thinking: the hologram. 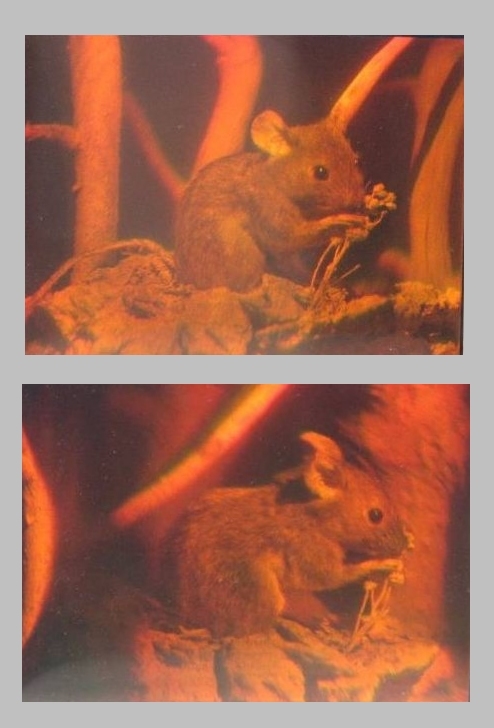 Hologram of a mouse from different angles. A hologram is an image that may look like a 3-D photograph, but it is conceptually very different. A photograph is made up of distinct bits, so if you cut a piece out, that piece is missing. But if you take away a bit from a holographic image, you do NOT get a missing piece. Instead the whole is a little less distinct. That is because with a hologram EVERY PART CONTAINS THE WHOLE. There are no distinct bits. That’s how Bohm conceived of the universe. Mystical, eh? You contain the universe and the universe contains you. I have no space to go into detail – look him up. I will, however, talk briefly about how Bohm saw his ideas penetrate human relations. Bohm was horrified by what he saw as a general degeneration of human society into camps, each staking out its claims to its own territory and then defending it. If you conceive of the world being made of bits that contain all the other bits, this is foolishness – at best. He proposed many solutions which I find magnificent. One was the Bohmian Dialogue. These “banks” can be conceived of representing the various points of view of the participants. The goal of a Bohmian Dialogue is to get rid of the “banks” so that the flow of meaning is unrestricted. Bohm conducted sessions organized according to these principles using groups of between 20 and 40 people. You can find the outcomes in On Dialogue. Bohm saw this method as liberating in general, so that people had a greater sense of unity with others, and less of a sense of isolation. But his goals were quite abstract. Bohmian dialogues have no inherent sense of purpose other than understanding the nature of thinking itself. However, others have adopted/adapted the strategy in a number of environments in which people meet to work out problems – political, business, therapeutic, etc. For me, the inherent catch is that you have to enter the dialog willing to suspend your own beliefs, and to be willing to revise your own preconceptions. Most people are not willing to do that. I imagine I will see four horsemen riding by my building before I will see politicians meeting in conference willing to suspend their beliefs. 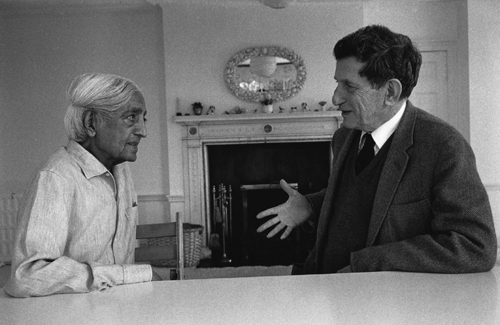 Here’s my “recipe” for the day in honor of David Bohm – A Bohmian dinner party. I just thought this up, so the ideas are a bit sketchy. What I would love is for someone to actually do this and report back. If all else fails, I’ll do it myself! For this to work you might need an initial meeting of participants to explain the principles, or, at the very least, send out a notice explaining the principles. Invite a reasonably large group of people – 12 or more. Ask each to bring something, or many things, (uncooked) to contribute to the meal – no limit. Come with no preconceptions as to what to cook, or even what a “meal” is. Come with no preconceptions as to what you like or do not like. Come with no preconceptions as to what you are or are not capable of in the way of food preparation. First order of business is to meet and be open to everyone’s ideas about what to prepare/do without judgment. Especially be open to abandoning conventional concepts of what goes with what. (As I reflect on this, this is my favorite part – e.g. don’t rule out chicken livers with blueberries). Also, do not think in terms of dishes or other culinary norms. Third order of business is unity in eating. Maybe there is no “meal” as such. Maybe everyone eats things in the kitchen whilst preparing other things, so that there is no finished “thing” you all sit down to eat. The key idea is that there is no preconceived notion of an outcome – making a meal. Just think of it as a group of hungry people with ingredients who need to eat and see what happens.